Hundreds of years before the time of Imager, the continent of Lydar is fragmented. Years of war have consolidated five nations into three-Bovaria, Telaryn, and Antiago. Quaeryt is a scholar and friend of Bhayar, the young ruler of Telaryn. Worried about his future and the escalating intrigues in Solis, the capital city, Quaeryt persuades Bhayar to send him to Tilbor, conquered ten years earlier by Bhayar's father, in order to see if the number and extent of occupying troops can be reduced so that they can be re-deployed to the border with warlike Bovaria. Quaeryt has managed to conceal the fact that he is an imager, since the life expectancies of imagers in Lydar is short. Just before Quaeryt departs, Bhayar's youngest sister passes a letter to the scholar-imager, a letter that could well embroil Quaeryt in the welter of court politics he had hoped to leave behind. On top of that, on his voyage and journey to Tilbor he must face pirates, storms, poisonings, attempted murder, as well as discovering the fact that he is not quite who he thought he was. To make it all worse, the order of scholars to which he belongs is jeopardized in more ways than one. If you?? 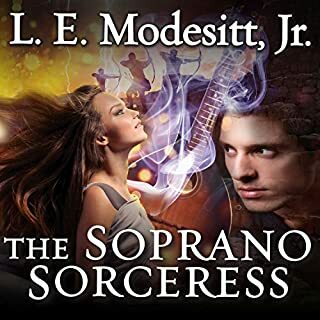 ?ve listened to books by L. E. Modesitt before, how does this one compare? This book is not like the first 3 books. It is slower, and not as dynamic or exciting. That stated, it is still very interesting. When I first started reading this book, I was very upset - I expected the story to be at least the equal of the first 3 books. When I finally understood that this book went back some three hundred years or so to tell the beginning of integrating Imagers into the society we see in the first 3 books.If you read this book, expect to see a different world from the one in the first 3 books, different characters, and the knowledge Imagers have in the first 3 books doesn't exist yet - it is being built gradually; this means things aren't as spectacular as the first 3 books. Also, keep in mind that this book is actually the true beginning. 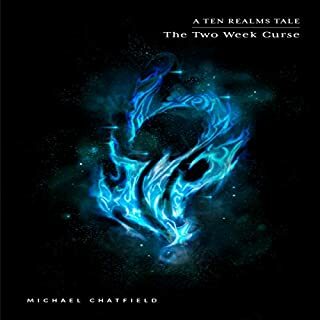 So, there is a lot of ground work being laid for the next books to come.I truly didn't enjoy it as much as the first 3 books, but as a starting book that lays the ground work for the next books in the series, it was actually pretty good. Quaeryt, secretly an imager of questionable skill and a professed scholar persuades Bhayar, a school friend, and ruler to send him to Tilbor. Quaeryt has never received formal imager training as there is just trial an error if you want to keep it secret. This is in itself is a challenge, throw in the challenges of the journey a number of competing and powerful land owners with different perspectives on the future of Tilbor and a Governor of questionable character we have the makings for a great story. I absolutely enjoyed this book. The flow of the book is very much as a dialogue that makes one feel like we are there and listening first hand. 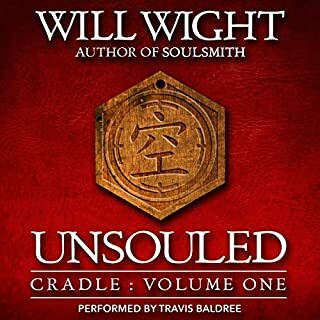 The narration is excellent and bring out the characters personalities. 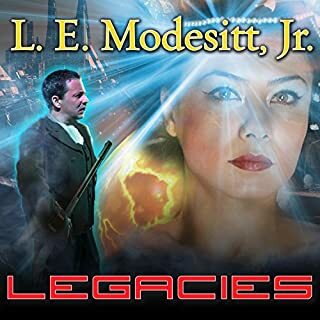 If you’ve listened to books by L. E. Modesitt before, how does this one compare? As to Dufris....well I didn't have any complaints in the previous Imager series. This one is not as good. Maybe he had a cold. 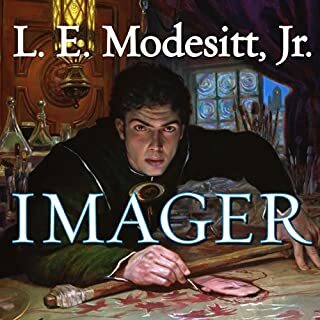 I have tried reading L. E. Modesitt's Imager books in hard copy (well, on a Kindle), but found them interminable and boring. They just don't work for me there. BUT, with the excellent reading by William Dufris, they work quite well as audio books. The action still isn't fast and furious, and there are still way too many longish passages about the "Nameless", but somehow one can simply gloss over those in this format. I find all the Imager books to be excellent for reading while exercising. 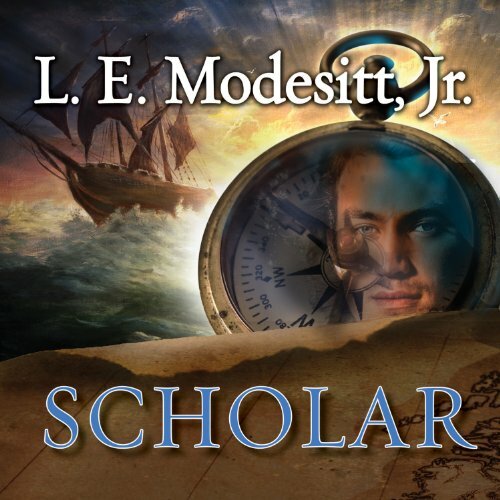 Scholar is the start of a new story arch in the Imager series, not a continuation from the earlier books. As such, it's a good standalone, and is a pre-cursor to the previously released trilogy. An excellent place to start, and well worth the listen. I usually listen on my way to and from work. I found myself listening in the parking lot because I did not want to interrupt the story. In a time (seemingly) before the previous 3 books and totally independent of those (to my mind), Scholar start of slowly but steadily. That said, this is another story i could not easily put down. Modesitt weaves a world and story in tradition of the best Wordsmiths and the narration of Dufris suits the style and adds to the ambiance. Although it is all one story line, many sub-plots and characters are woven into the telling and most of them add up to the intimate ending in some way. It is uncanningly interesting in a quiet and steady way. Having already read the 5th book which follows this one, i am hanging out for the 6th book. I enjoyed the first 3 books of the Imager Portfolio so I eagerly picked up the 4th. Unfortunately, this is a weak story with way too many long sequences of boring material. I never grew attached to the main character and never became invested in the outcome. I stuck it out to the end and it did pick up a little, but not enough to give it more than 2 stars. William Dufris narrates again and he does as well as could be expected with the material he had to work with. If a 5th book in the series is ever released I will certainly pause before picking it up. Although I enjoyed all the other previous books in this series I was disappointed by the lack of content for this one. It was very repeditive, constantly describing the food he was eating over and over and in great detail, and capitalizing on other boring details. 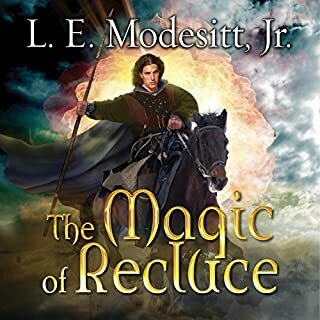 It did not really get my attention and although I finished the book I cannot say it was one of Modesitt's best. I enjoyed the first three books of the Imager portfolio very much, but I have to say this one was a disappointment. It's just plain boring. I'm not even sure I can finish listening to it. William Dufris voices sound very much the same, in fact people that are not the main character seems to always be the exact same voice.